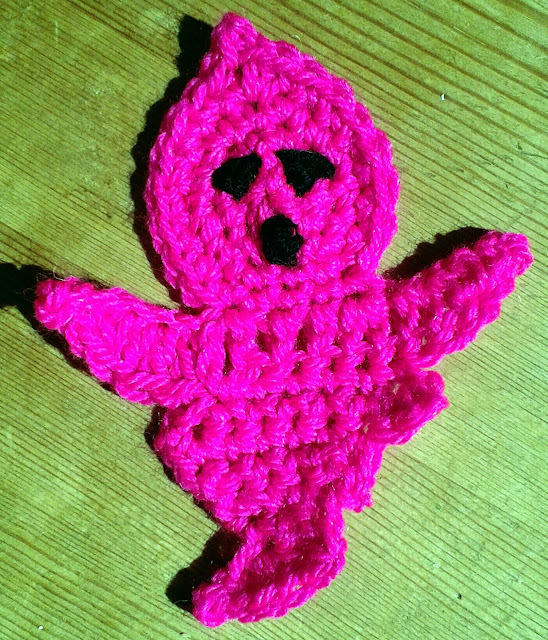 Simply Crochet had a pattern for this cute ghost. Couldn't resist it. Have signed up for the Craft Yarn Council's crochet 2 certificate. Looks like I'll be learning some fun new techniques. Still doing Nimblefingers' Facebook page and teaching their Friday afternoon workshop. Now I'm doing knitting as well as crochet. Attended the Hearts and Hands event today. My friend bought my crochet cowl for her mother-in-law and I bought the knitted one which I'll give to my sister-in-law, both for Christmas presents.